Dr.RekhaMiraniTamhankaris our General Dentist at Emirates Hospital Day Surgery and Medical Centre.She has keen interest in offering her services to pediatrics patients andbefore joining the facility, she was practicing atiCARE Clinics in Al Barsha. 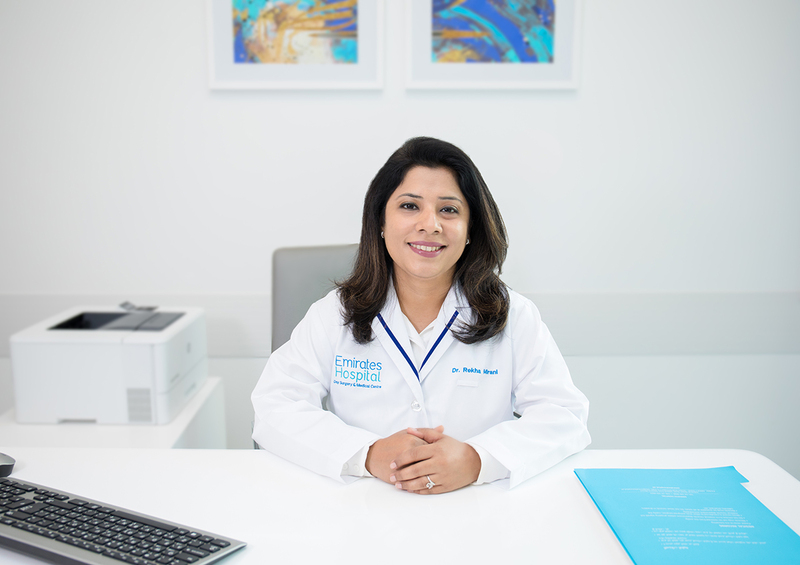 She has 13 years of rich clinical experience and was managing her own practice in Mumbai, India before coming to Dubai. Fluent in English, Hindi, Urdu, Sindhi, Marathi and elementary Arabic.